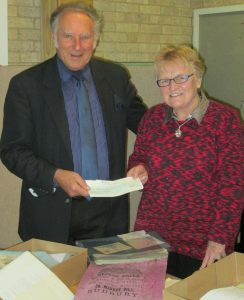 In January the Sudbury Ephemera Archive (SEA) received a cheque for £574 the Town Council’s Locality Budget. Most ephemera (documents created for short-term use) are thrown away but word about SEA’s role has got around and private individuals, groups, organisations, businesses and so on have donated posters, town guides, programmes, photographs, paper bags, menus, tickets, invoices and receipts from local businesses. More specialised records include apprentice indentures, school exercise books, and 19th century election posters. SEA has also acquired a considerable number of documents on education such as those relating to Sudbury’s Middle Schools over the past 41 years until they closed last year, and the now demolished St Peter’s and St Gregory’s School in North Street during World War II creating a considerable social history. 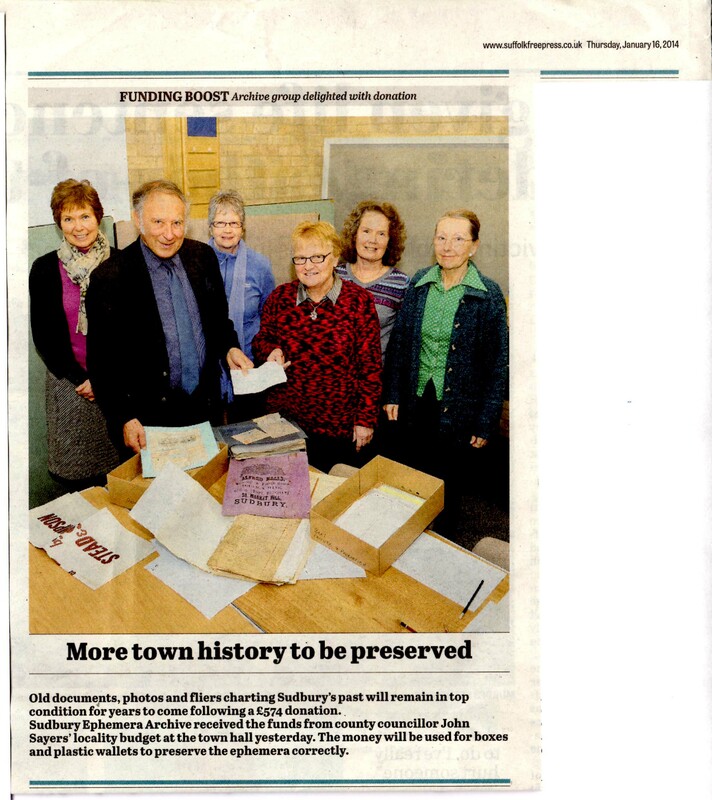 SEA works closely with the Sudbury Museum Trust and the Suffolk Record Office in Bury which have offered advice on cataloguing, indexing and document preservation.